An upscale shopping district, The Magnificent Mile, lives up to its name with a selection of high-end stores, luxurious restaurants, and hotels covering multiple blocks downtown. 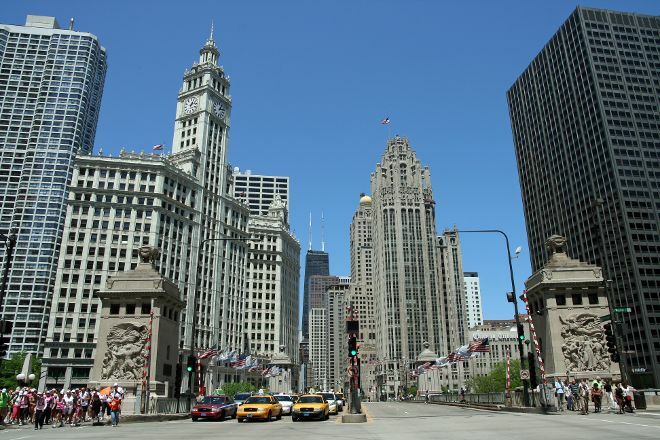 Several of the tallest buildings in the world sit in this district like the John Hancock Center and the Trump International Hotel and Tower, which offer stunning views of the city's architecture and lakefront. The area also features iconic landmarks such as the Historic Water Tower, one of the longest-standing structures in the city, which was built in 1869 and was one of the few surviving buildings after the Great Chicago Fire of 1871. Watch a show at the theater, marvel at the museums, or explore the abundant and various boutiques and stores. Choose to start, finish, or center your holiday on a trip to The Magnificent Mile by using our Chicago sightseeing planner .